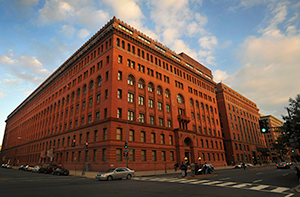 The U.S. Government Printing Office, as the GPO used to be called, opened on March 4, 1861, on the first day of President Abraham Lincoln’s administration. GPO has been in operation on the same site in Washington, DC, for over 150 years. For most of its history, GPO printed documents on paper, distributing them to the U.S. Congress, Federal agencies, and the public through its programs and initiatives. In the digital age, GPO has been renamed as the Government Publishing Office, producing, procuring, and distributing not only print but also digital documents from the U.S. Congress and Federal agencies as outlined in the United States Code (Title 44, U.S.C.). GPO provides permanent public access to Federal Government information at no charge through its govinfo.gov (www.govinfo.gov), through partnerships with nearly 1,200 libraries nationwide participating in the Federal Depository Library Program, and through the U.S. Government Bookstore, GPO’s secure online bookstore.